A good coach is always well prepared so get yourself ready for match day with this A5 Rugby Union Pro-Coach Notepad. Featuring plenty of pages for scribbling down team tactics and showing positions, this notepad should form an essential training accessory for any level of coach and is great for storing important notes. 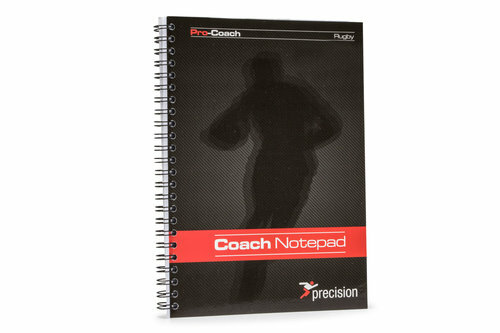 Easy to carry during training and on match day, make this notepad part of your rugby kit.